Carry Home Cornish Beers with this super triple pack from the collections of Rebel Brewery from Penryn and Skinners Brewery, from Truro. Savour the different flavours and styles of these Cornish Beers, educate your palate or simply sit back and enjoy! The gift pack contains three of our year round best selling bottled beers. 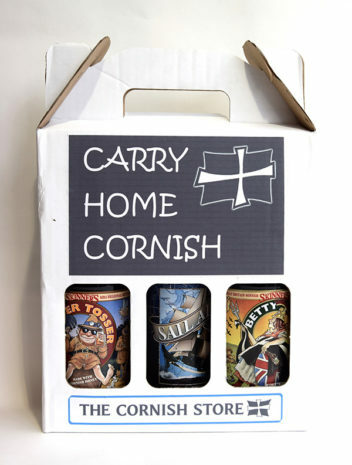 Carry Home Cornish Beers is a super gift for any beer lover.